This timely book explores what might be termed ‘Gothic science fiction’ of the last three decades. This designation may at first appear contradictory, as the Gothic’s connotations of the irrational and supernatural seem to conflict with the rational foundations of science fiction. However, this collection demonstrates that the two categories in fact overlap and intersect in creatively and critically fruitful ways. Understanding texts of this period by means of this hybrid category allows a fresh examination of their engagement with the dramatic socio-economic changes – in communication technology, medical science, globalization, and global politics – that have transformed the way we live, and for which Gothic science fiction texts provide compelling narrative modes. The essays in this collection reflect the current willingness among researchers to explore interpretations across genre, form, and discipline, as well as revealing a buoyant field of research in contemporary Gothic and science fiction studies. The collection ranges across narrative media (including literature, film, graphic novels and trading card games) and across genres, taking in horror, science fiction, the Gothic, the New Weird and more. The essays explore questions of genre, medical science, gender, biopower and capitalism, demonstrating the ways in which Gothic science fiction texts stage contemporary concerns around power, anxiety, resistance and capital. Contributors: Emily Alder, Edinburgh Napier University Fred Botting, Kingston University, London. Laurence Davies, University of Glasgow Laura Hilton, University of Birmingham Roger Luckhurst, Birkbeck College, University of London. Jerrilyn McGregory, Florida State University Nickianne Moody, Liverpool John Moores University Aris Mousoutzanis, Kingston University Gwyneth Peaty, University of Western Australia Adam Roberts, Royal Holloway, University of London Sara Wasson, Edinburgh Napier University Mark P. Williams, University of East Anglia. 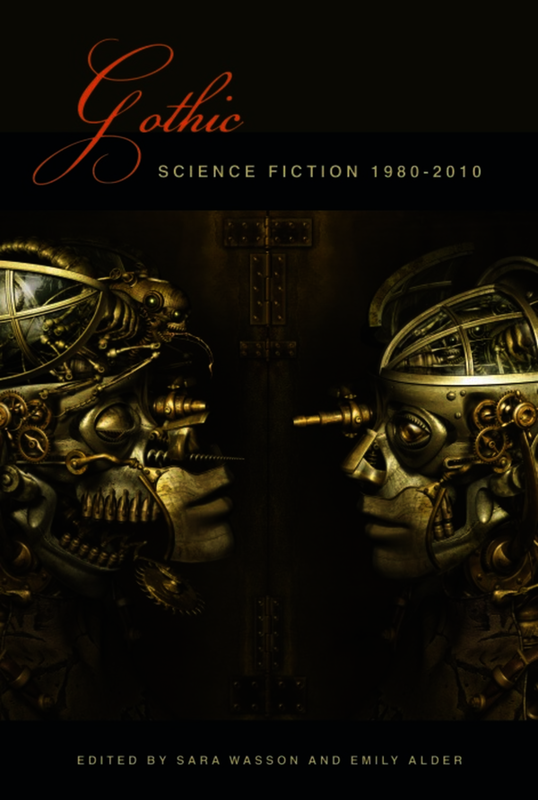 This timely book explores what might be termed ‘Gothic science fiction’ from 1980 to 2010. This designation may at first appear contradictory, as the Gothic’s connotations of the irrational and supernatural seem to conflict with the rational foundations of science fiction. However, this collection demonstrates that the two categories in fact overlap and intersect in creatively and critically fruitful ways. Understanding texts of this period by means of this hybrid category allows a fresh examination of their engagement with the dramatic socio-economic changes – in communication technology, medical science, globalization, and global politics – that have transformed the way we live, and for which Gothic science fiction texts provide compelling narrative modes. The essays in this collection reflect the current willingness among researchers to explore interpretations across genre, form, and discipline, as well as revealing a buoyant field of research in contemporary Gothic and science fiction studies. The collection ranges across narrative media (including literature, film, graphic novels and trading card games) and across genres, taking in horror, science fiction, the Gothic, the New Weird and more. The essays explore questions of genre, medical science, gender, biopower and capitalism, demonstrating the ways in which Gothic science fiction texts stage contemporary concerns around power, anxiety, resistance and capital. Sara Wasson is Lecturer in Literature and Culture at Edinburgh Napier University and author of 'Urban Gothic of the Second World War: Dark London' (Palgrave Macmillan, 2010). Emily Alder is Lecturer in Literature at Edinburgh Napier University.